Thanks to all who joined us this Earth Day at Albany Shoreline. View the EARTH DAY 2018 PHOTO GALLERY. Albany Shoreline at 2 meter sea rise, at King Tide. 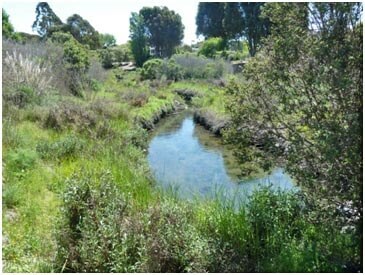 Help to create a resilient shoreline. 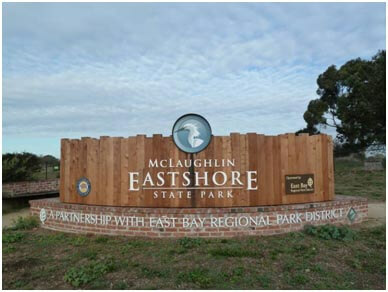 Citizens for East Shore Parks mission is to create a necklace of shoreline parks from the Oakland Estuary to the Carquinez Strait. Conservation is an investment that does not lose its value. Please help CESP secure future parks and open space. 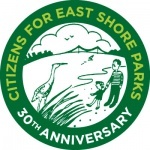 CESP is the driving force behind the local shoreline park movement, involving thousands of community residents over three decades. 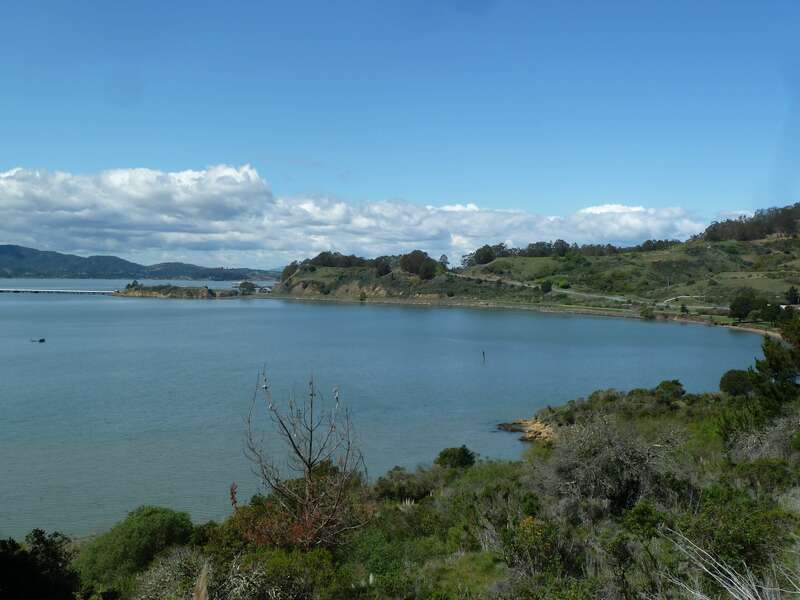 CESP works to conserve natural resources and wildlife habitat and to secure public access to shoreline open space along our magnificent East Bay shoreline. Our Resilient Shoreline Program addressing sea rise and the effects of climate change is a natural extension of our mission. CESP held largest Visualizing Sea Rise Event. 300 plus people at the Albany Shoreline as part of Earth Day 2018. CESP recently tabled at Patagonia store in San Francisco to talk about sea rise to staff and customers. Great outreach event. We are working with people, elected officials and other organizations to inform the public about sea-level rise and to find practical green infrastructure solutions that will prevent destruction to homes and businesses in communities along the East Shore of the Bay. Learn what we've done in the cities of Oakland, Richmond and Berkeley, and what we are planning to do in Albany. CESP continues to work to complete MESP as outlined in the General Plan for this magnificent waterfront park. Richmond is home to 32 miles of shoreline, the most of any city in the San Francisco Bay Area. CESP continues to play an active role in what is being planned for Pt. Molate, and the south and north shoreline, and to monitor the identified toxic sites and the critical Breuner Marsh area. Visualize for a moment the “new” Albany shoreline where, with sea rise, we find much of the current lands west of the I-80 underwater. CESP, community members, and volunteers did just that at our Earth Day 2018 event. We marked a quarter-mile path from the Albany shoreline east to the freeway with seablue banners, showing where the new shoreline will reach to with 2-meter sea rise, at a King Tide. After hearing presentations on sea rise, and with a Mariachi band leading the way, volunteers and community members joined CESP and walked the path holding pennants to show where the new waterline will be. This is a call to action to prevent the devastation of sea rise by creating and restoring marshlands, restricting shoreline development, and addressing climate change. The event was sponsored by California State Parks Foundation and presented by PG&E. Our community partner, The Watershed Project, led a coastal cleanup. Additional partners were Clif Bar Family Foundation, East Bay Regional Park District, and the City of Albany. 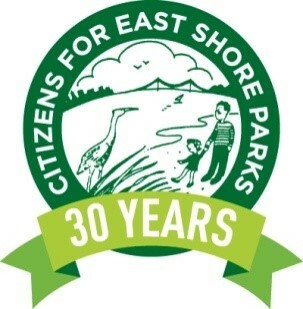 Thank you to all and to the 300 attendees who assisted with cleanup and sea rise event. GROUNDWORKS Office, a Berkeley based landscape architecture and urban design firm, for the powerful image simulation of the “new” Albany shoreline.